Well, I really had to do it again didn’t I. Try and take on the Blender Pens. I will get there, I will get there, I will I will I will! To be fair, this was far easier than my Perfect Blend card of a week or so ago, and probably because I was working in straight lines! 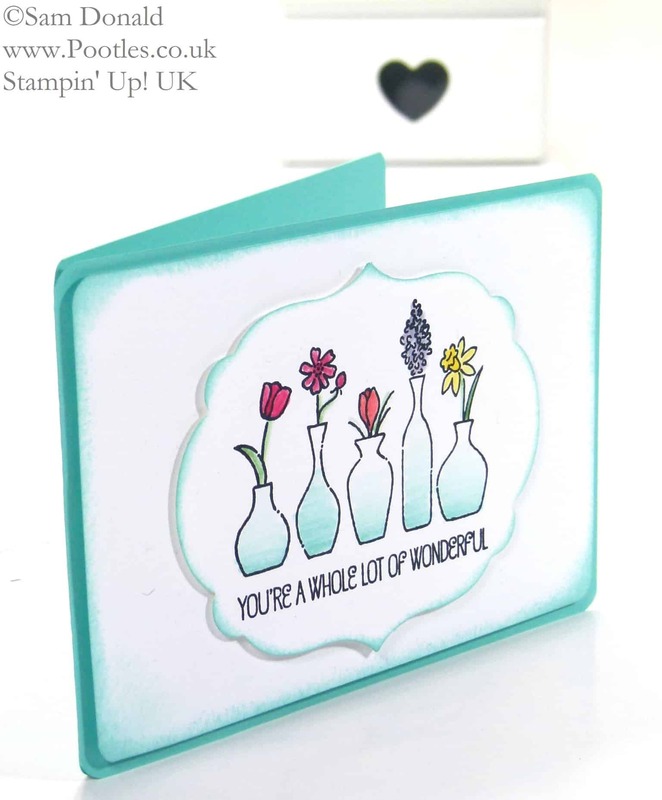 The Vivid Vases stamp set very much lends itself to using the blender pens, and I have to say, I’m chuffed to little mint balls at how it has turned out! My card base is Coastal Cabana with just one single layer of Whisper White over the top which I decided to Round the Corners of, then sponge with the same ink. 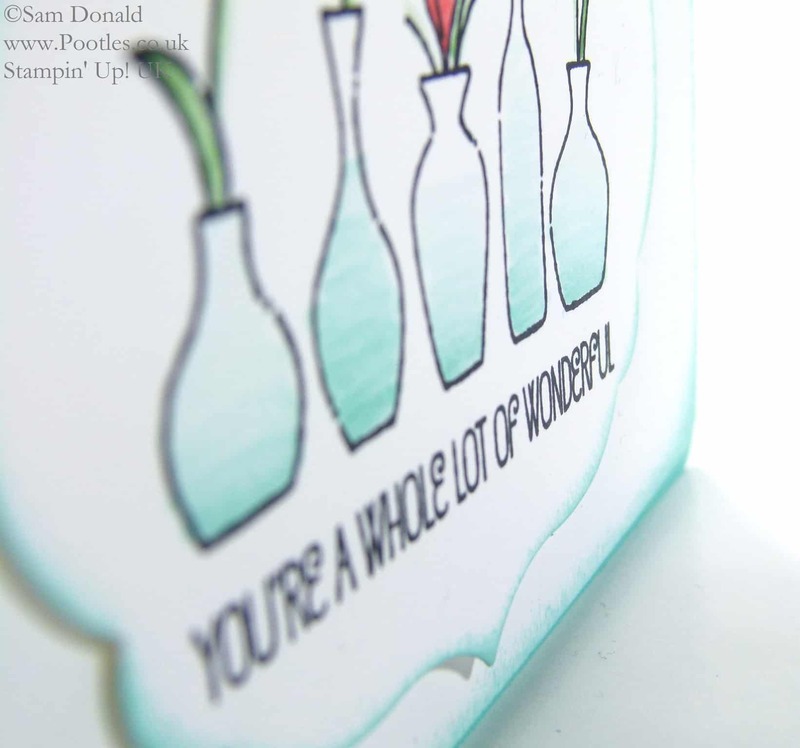 I stamped the image and wording onto Whisper White, then used the Labels Collection Framelits to die cut it out before bringing out the Blender Pens.